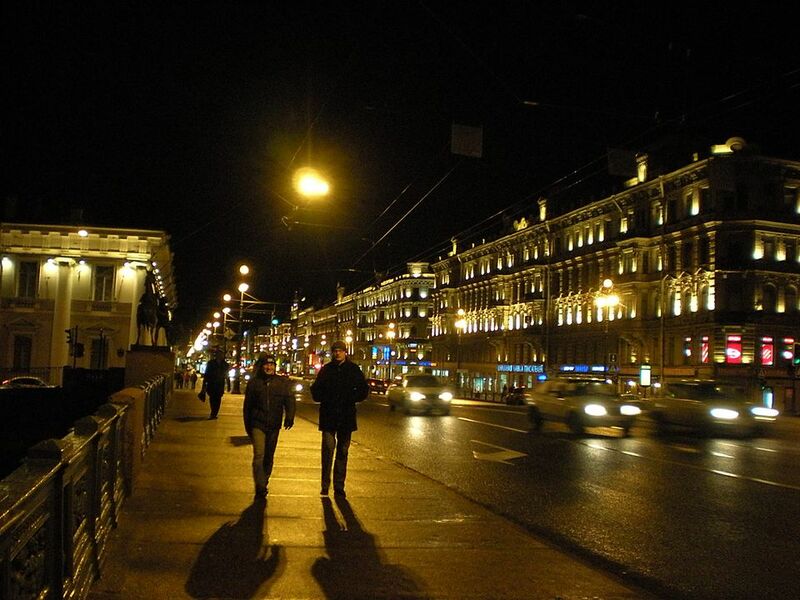 From techno music to live punk or jazz, St. Petersburg has a nightlife that will appeal to anyone. Dance till well past dawn at Metro, experience gay Petersburg at Greshniki, or book a table for two at JFC Jazz Club. This is a no-holds-barred club of exceptional proportions. Themed weekends, an ample list of DJs, and an indoor lounge means that Par.spb is just the ticket when you want a little of everything. This is the place if you're looking to get crazy and stay up until the wee hours of the morning. How to get there: Take the Gorkovskaya metro to Alexander Park 5B. Moloko features live music and inexpensive beverages. Prices will vary by gig, and all bands begin at 8 p.m. The funky, fun interior is original and welcoming, with tons of ceiling lights and high-top tables offering plenty of places to sit and enjoy the entertainment. How to get there: Take Ploshchad Aleksandra Nevskovo metro to Perekupnoy per. 12. This "saloon" takes you back to a Wild Wild West that could only be conceived in the minds of Russians. You have to see it to believe it. Shoot a round of pool with your buds or kick off your boots in front of the cozy fireplace (especially welcome in the frigid winter months). Live music is played every night at 8 p.m. and 12:30 a.m.
How to get there: Take Nevskiy Prospekt metro to Apraksin ​dvor, korpus 13. This artsy club has long been a mainstay of St. Petersburg for years. Live concerts, table-football, and movies are some of the entertainments you'll find at Fish Fabrique. How to get there: Take Ploshchad Vosstaniya metro to Ligovskiy pr. 53. Advanced tickets are required for this swanky jazz venue. It was founded by David Goloshchokin, a St. Petersburg musician famous for being one of Russia's premier violinists, so you can expect to hear classical jazz from extremely talented musicians. The Saint-Petersburg State Jazz Philharmonic Hall is not for a casual night out, so plan ahead and dress to the nines. How to get there: Take the Vladimirskaya/Dosoevskaya metro to Zagorodniy pr. 27. JFC Jazz Club is a small, popular joint catering to a more casual crowd. One of Russia's most prestigious jazz musicians, Andrei Kondakov, directs the club. Make sure to make reservations as JFC fills up early. Some of the shows include Dixieland bands, blues, rock, and even the avant-garde. How to get there: Take the Chernyshevskaya metro to Shpalernaya ul. 33. This friendly establishment features classic jazz from the 1930's and 40's. Their website is pleasantly bilingual and charmingly amateurish. There is live music every night except Monday and the club is open at 10:30 a.m. on weekdays and 2 p.m. on weekends (until very late in the night). How to get there: Take the Chernyshevskaya metro to ul. Mayakovskovo 50.